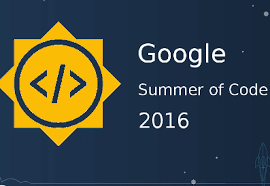 I am very excited and happy to get to know that I have been selected for GSoC 2016 with Inqlude - KDE. First of all, let me offer loads of thanks to KDE for selecting me as a GSoC student of their organization. I am extremely happy to go ahead with Inqlude for GSoC 2016. It is indeed a lifetime achievement for me. I would also like to thank Mr. Cornelius Schumacher for the massive support that he gave me to drive towards this achievement. Thank you for all your advises and keeping me on right track since day one. I am indeed privileged to have had you as my mentor and I always find you as an exemplary character in my life. I will do my best to make this project a successful and useful one for the KDE organization and all its users. I plan to maintain this blog through out the project period to update my progress on the project. So, I would like to welcome all of you to the blog I created to reflect my contributions towards the project on improving Inqlude Website. This blog will be updated each week with a moderate description about the progress done during the past week. The updates could also include the challenges faced, solutions tried and the solutions found for the challenges during the respective week. Other than the progress reports, I would publish posts about other interesting stuff related to the project. For example, I might write a wiki on guiding users to contribute Inqlude which is a potential option for the proposed project. All of you are welcome to read and share your thoughts with me regarding anything related. Note: Here is the link to my project proposal that brought be this wonderful opportunity.